There’s another addition to our Case Studies page. 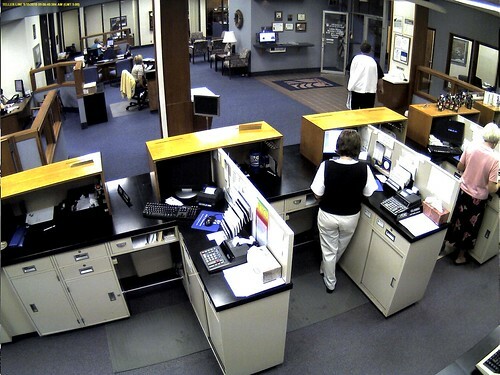 Denison State Bank, one of the top 50 largest banks in Kansas, recently installed exacqVision Hybrid video management systems and software at their branches in the state to help protect customers, employees and assets, replacing aging time-lapse VCRs. In addition to connecting to an existing installed base of analog cameras, new IQeye 3 MPixel cameras were strategically placed in the lobby and behind the tellers to provide high resolution video images on anyone entering the bank. 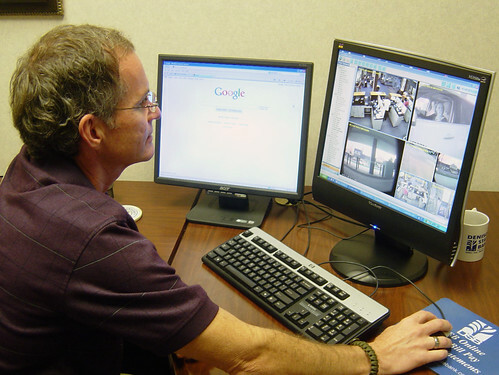 Each branch manager has the exacqVision client giving them access to the cameras in their branch, and the security directors at the main location have access to all cameras at all of the branches for viewing live and recorded video and remote administration. Exacq Technologies partner, Oppliger Banking Systems, a Lenexa, KS based security products & service provider for financial institutions in Kansas and Missouri, installed exacqVision EL Hybrid Servers and cameras in the bank’s five branches. 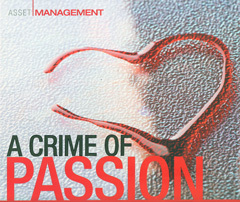 You can read the Denison State Bank case study here. More case studies are available on our Case Studies Page. We have just returned from PSA-TEC 2010, the annual education, training and technology event that PSA Security Network holds for its members. We have found PSA-TEC to be of considerable value to us, as it affords us the opportunity to spend some in-depth time with the PSA member resellers. One of the most important parts of the conference is the training sessions. We held one of our day-long exacqVision technical reseller training sessions on Tuesday, where we had a pre-registered full house as well as some dealers who added the course on-site. Wednesday morning was the Vendor Awards Banquet, the result of PSA member surveys ranking vendors on overall products, support, pricing, and service to the membership. 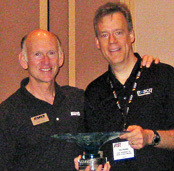 We were very honored to receive the "Superstar Vendor Achievement Award" this year, the highest award PSA offers. Our sincere appreciation goes out to the entire PSA member base for this award. After the awards breakfast was the trade show. This was the first year at the Rosemont Convention Center, and the upgraded facilities were a great change of pace. We had a packed booth the entire show, and the increased space and wider aisles were most welcome. We showed our latest exacqVision Version 4.1 features, as well as a sneak peek of the upcoming Version 4.2 features, including Sanyo IP camera support and ONVIF support, using Bosch and other ONVIF-compatible cameras. We also were using IP cameras from Axis, Vivotek, IQeye, Panasonic, ACTi, Sony, and Arecont Vision, who was also right across the aisle from us. Additionally, we also featured our iPhone & iPad surveillance app, which allows full connection to all exacqVision servers, live viewing with multiple camera layouts, and search and playback of recorded video. 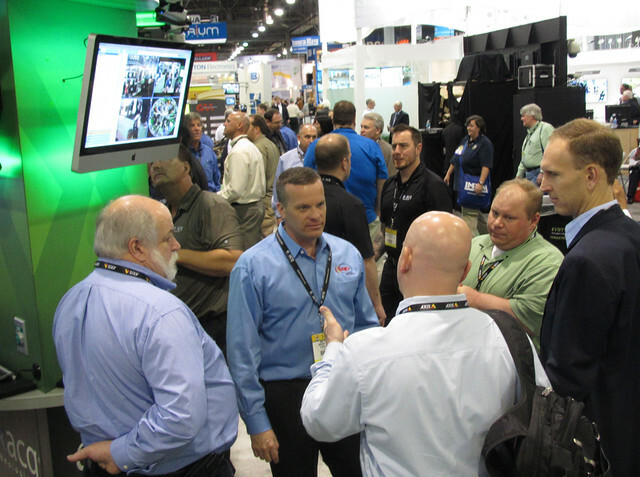 Sam Pfeifle of Security Systems News gave his take on the show in this blog post. Wednesday night was the popular PSA-TEC Jam Session, and Sam was live-streaming the band over his iPhone via ustream.com. He posted archival video of that event here. Our thanks once again to the entire PSA organization for the great job they did with this years’ well-run event. Below are some pictures and a video from the show floor. Click on each for a larger image. 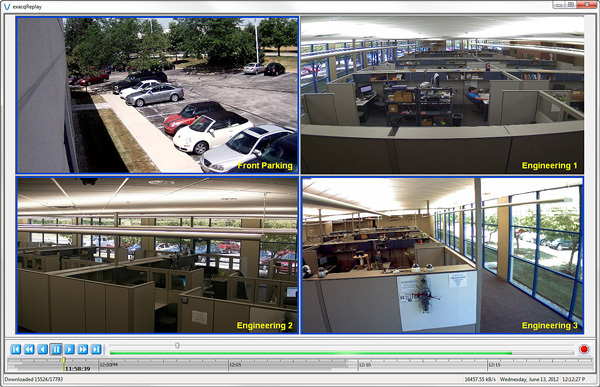 Version 4.1 of exacqVision Video Management Software has just been released. This latest release, compatible with all exacqVision Hybrid and IP video surveillance systems, incorporates new features and enhancements, and continues our quest for rapid, incremental updates. Up to 64 IP serial ports can be added per server, in addition to the standard RS-232 and RS-485 serial ports. 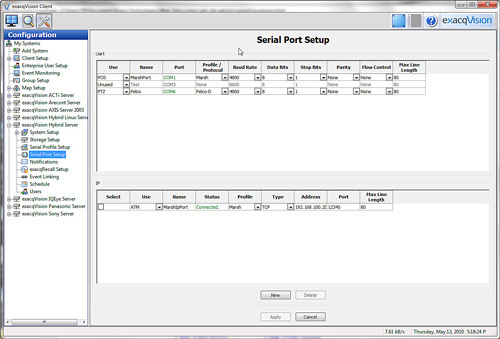 IP serial port profiles are set up the same way as standard serial port profiles. 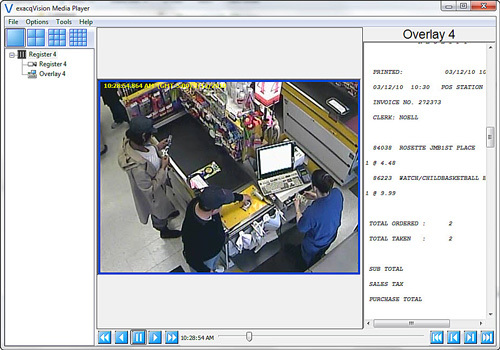 Enabling serial over IP expands the ability of exacqVision servers to integrate with POS and ATM systems, access control systems, alarm systems, and video analytic systems, such as Viasys. Viasys is a vendor of video analytics software that resides on the edge and runs on Axis IP cameras, on IQeye Pro-line IP cameras. As analytic events occur, ASCII data is sent over the IP port. Through the use of serial over IP, an exacqVision server can read the serial data from this network port, and trigger recording and other actions based on the associated analytic events. Viasys routines include intruder detection, perimeter protection, and alarming, and include ability for Adaptive Outdoor Analytics, 3D Video-Awareness, Electronic Fence/Trip Wire, Directional Detection and Sabotage Detection. 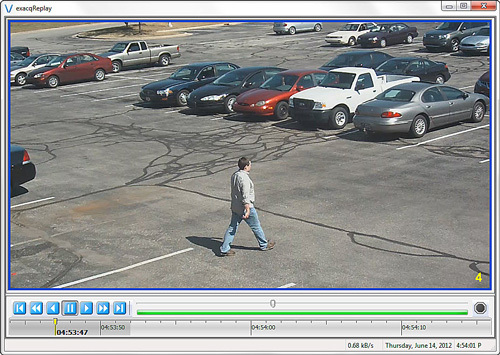 In addition to edge analytics, Viasys software also runs on any exacqVision server, enabling full video analytics capability for all IP cameras supported in exacqVision, including Arecont Vision, ACTi, Panasonic, Vivotek, StarDot, and more. You can download a fully-functioning 30-day trial of Viasys software here. Demo videos of Viasys in action are here. Serial data, whether from serial ports or IP ports, can now be fully exported along with associated video cameras. 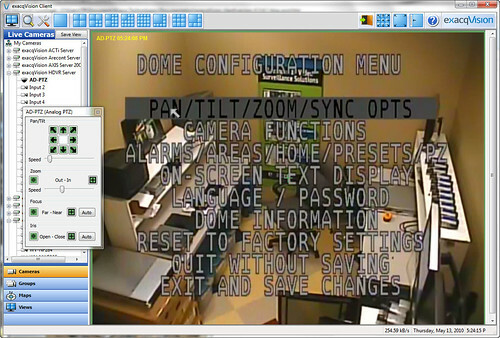 This export enables the serial data to scroll in real-time with what is happening on the cameras. As the video scrub bar is used to rapidly forward or reverse through video, the serial data scrolls rapidly as well; likewise as you rapidly scroll through serial data, the video stays in sync. 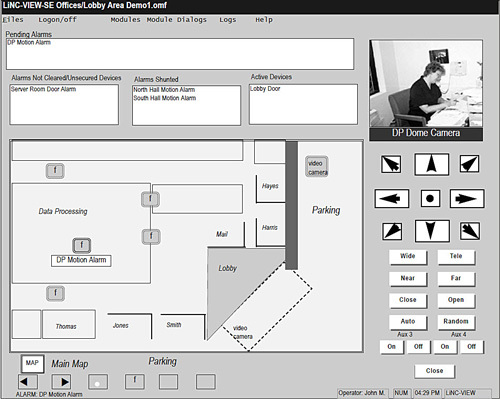 With Version 4.1, additional commands have been added for mechanical PTZ cameras using the AD-422 and Pelco-D protocol, as well as for all analog and IP mechanical PTZ cameras. 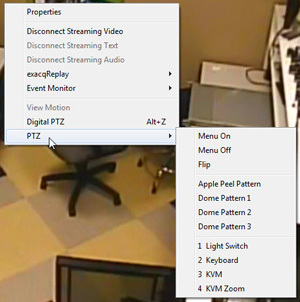 More Joystick Commands – In addition, additional PTZ commands are now available from PTZ consoles and joysticks, including Menu On/Off, Run Patterns, and Flip. IQeye – Support added for the new IQeye HD1080P Series H.264 IP cameras. Usability improvements have also been added for the entire IQeye line, enabling port configuration and auto login. StarDot – Support added for the new line of H.264 NetCam multi-megapixel cameras, models SDH500BN, SDH500B, SDH300B, SDH130BN, SDH130B. 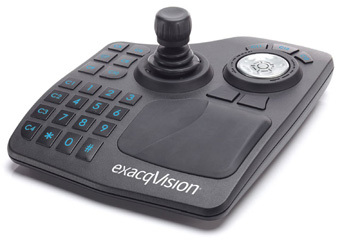 As always, the latest versions of exacqVision client and server software can easily and quickly be copied over existing versions while retaining all user settings. The latest versions can always be downloaded from the exacqVision Downloads page, or you can click on â€˜Check for Updatesâ€˜ within the â€˜Aboutâ€˜ box in the exacqVision software. 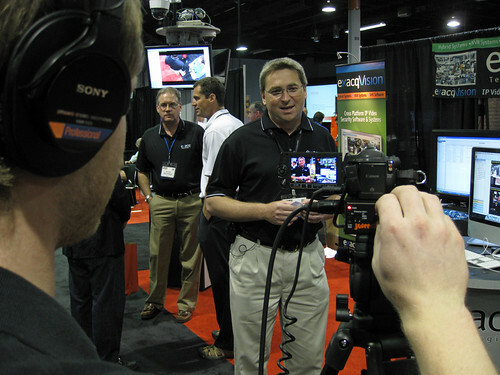 Exacq Technologies, Firetide, IQinVision and Pivot3, all open-system vendors, participated in a joint live demonstration of IP technology interoperability at ASIS 2009. 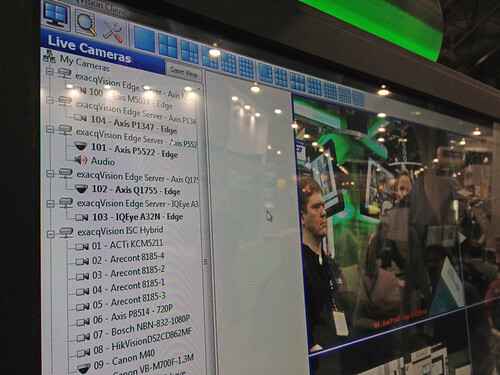 Wireless connectivity, megapixel cameras, Smartphone viewing, and smart storage were all on display in an interoperability demo that had one message: Itâ€™s easy. What did the companies set up? 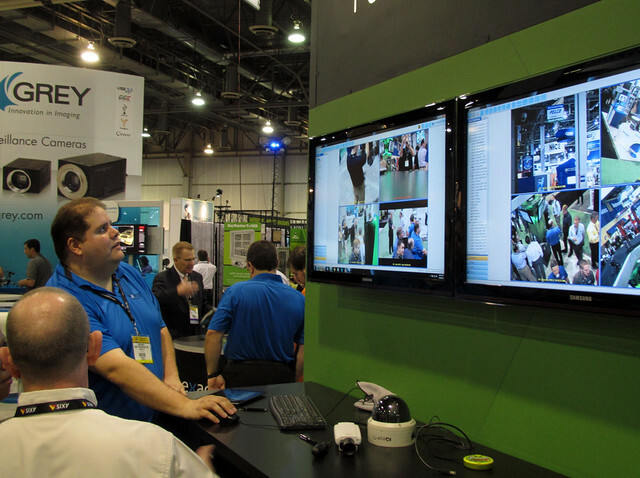 The live demonstration featured wireless distribution, storage and playback of HD/megapixel video over wireless networks across separate booths on the ASIS show floor. 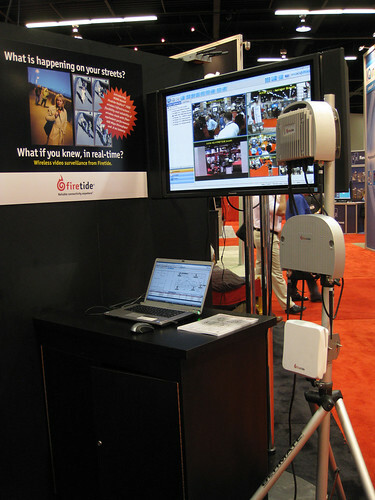 High-resolution video from IQeye megapixel cameras was streamed from vendor booths over Firetide wireless network links. 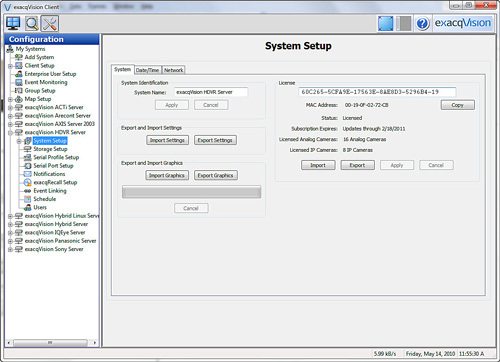 The video was subsequently captured and displayed remotely using the exacqVision video management system running on Pivot3 iSCSI SAN storage with embedded virtual servers. 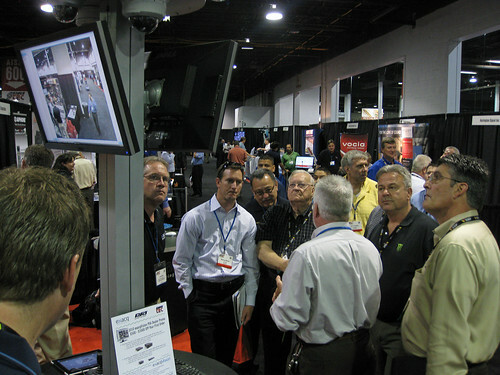 Centrally captured video was then viewable and searchable from remote computers in each of the partner booths and on smart phones. The open architecture demonstrated by the companies allows customers the ability to select the highest quality components from a wide variety of manufacturers instead of being limited to offerings from one vendor. How is the interoperability between these four specific companies possible? â€œWe are all non-proprietary companies and we are all IP-based, which means the products are essentially plug-and-play,â€ Bodell explained. 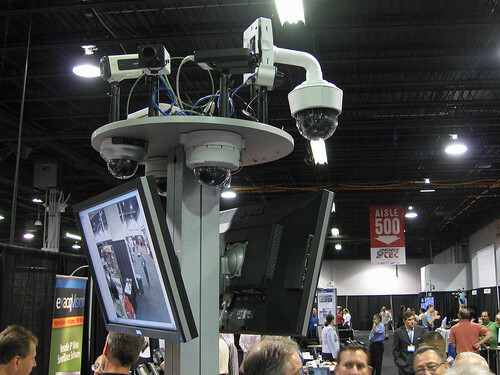 By demonstrating the ease of set-up on the ASIS show floor, the companies hoped to reduce the â€œperceived riskâ€ or difficulty in setting up systems like this. The full article can be read at the SDM Magazine site here. Our thanks again to everyone at Pivot3, Firetide and IQinVision for making this a successful demo. 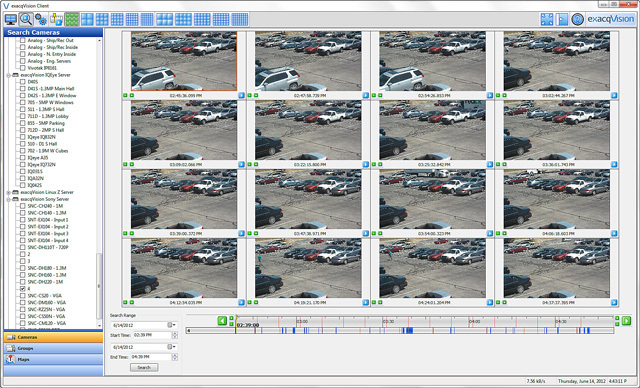 Version 3.6 of exacqVision Video Management Software has just been released. 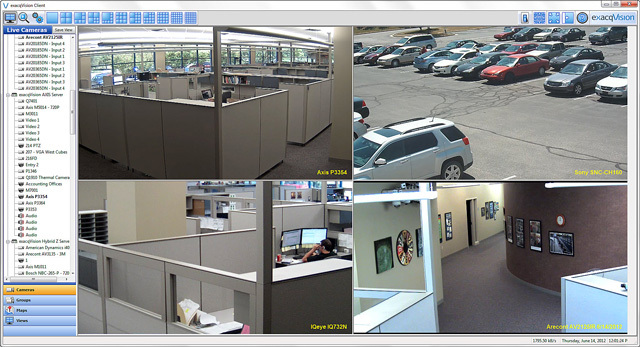 This latest release, compatible with all exacqVision Hybrid and IP video surveillance systems, incorporates new features and enhancements, and continues our quest for rapid, incremental updates. Smart Search, sometimes referred to as ‘museum search’ functionality, has been substantially enhanced in version 3.6. Smart Search adds quick and detailed granularity to a search result, enabling the viewing, scrubbing, saving and exporting of just the video search information desired. Smart Search works on all cameras: analog or IP, standard or Megapixel. With any camera, when Smart Search is selected, a grid appears. Simply use the mouse to fill in the grid of the desired area of the camera view, and Smart Search will quickly find just the video that has changed within the grid area. While the Smart Search function is selected, the user can scrub, play forward and reverse, save, and export just the Smart Searched (orange bar) video. 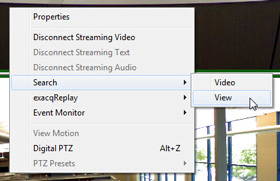 Fast and easy, this enhanced functionality enables rapid searching and exporting of just the video information desired. New to Version 3.6 is the Enterprise Server option. This new option, enabled per-server, adds functionality unique to user and server management across an enterprise deployment. 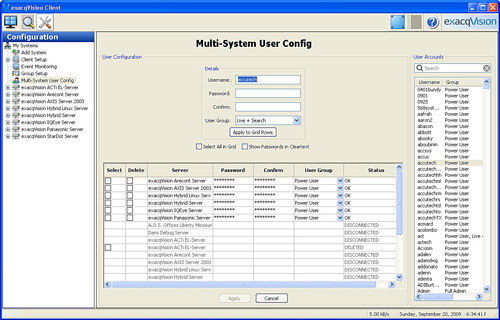 Multi-System User Configuration is available in Version 3.6 and is the first of several features to be added to the Enterprise Server option. 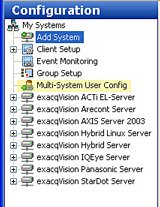 Multi-System User Config enables fast and easy user account management across any number of exacqVision servers. Creating a new account, deleting an account or changing an existing account is done quickly just once, and then applied to all selected servers with a single push of a button. This feature works in all enterprise deployments without the need for existing LDAP or Active Directory implementation. Support has been added for the entire line of Basler IP cameras. Basler IP cameras range in resolution from VGA to 2 Mpixel, all with day/night models available, and are distinguished by their compact physical size. All Basler IP cameras utilize H.264 compression. The Basler IP camera models supported in exacqVision Version 3.6 are the BIP-640c/c-dn, BIP-1000c/c-dn, BIP-1300c/c-dn, and BIP-1600c/c-dn. 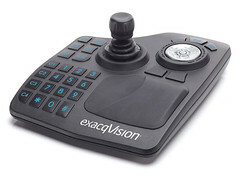 The press release on the exacqVision-Basler IP camera support is here. Adding to our existing support of IQeye cameras, Version 3.6 adds support for the new 4-Series line of low-cost IP cameras from IQeye. The IQeye 4-Series provides IQeye-quality video, resolutions from VGA to 2 Mpixel, compact, sturdy housings (both standard and dome), Power-Over Ethernet, and a low price point. 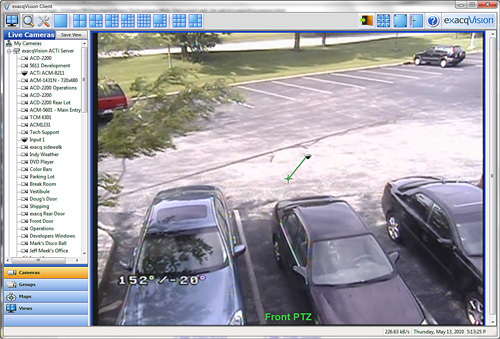 The 4-Series models supported in exacqVision Version 3.6 include the IQeye 4-Series Standard cameras and the IQeye 4-Series Dome cameras. 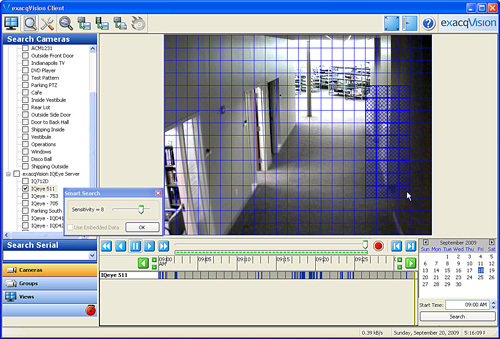 exacqVision Version 3.6 adds integration support for PCSC Access Control systems. PCSCâ€™s access control system is distinguished by their Fault Tolerant Technology, with redundant host, controllers, and communication. 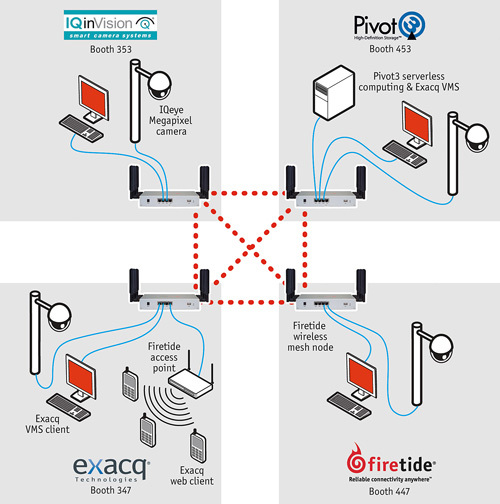 When combined with exacqVision VMS software it makes for a unique, fault tolerant access control and IP video surveillance system under a single user interface. 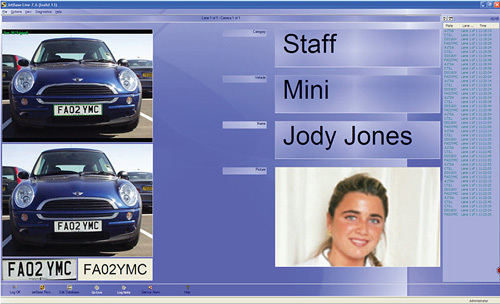 Details on the PCSC LiNC-VIEW integration are here. 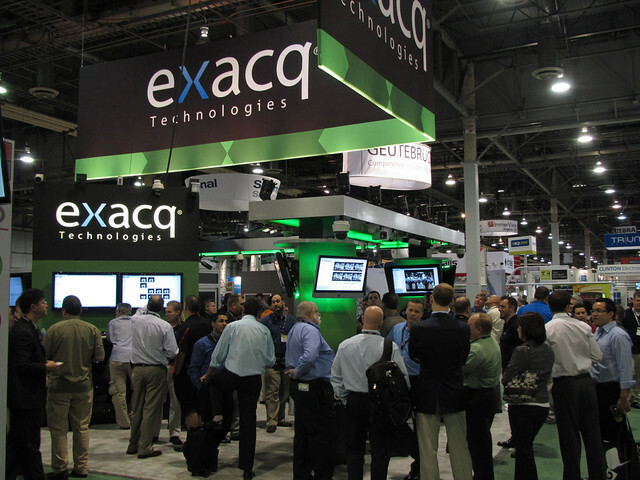 The press release on the exacqVision-PCSC integration is here. A couple of months back we blogged about an amazing sleight-of-hand jewelry store theft in Philadelphia in March of a $47,000 engagement ring. The theft was discovered and the perpetrator caught because of sharp, clear video surveillance footage from a recently-installed exacqVision system and IQeye megapixel IP cameras. Love often drives people to do some crazy things. One man, Larry J. Hopkins, tried to steal his way into a womanâ€™s heart. On March 14, he entered Carrollâ€™s Jewelers in Doylestown, Penn. After more than two hours of looking at various engagement rings (i.e., waiting for the right moment), he palmed a $47,000 three-carat diamond solitaire ring in a platinum setting, one of the most expensive rings in the store, when the salespersonâ€™s back was turned. Within two minutes, he was goneâ€”and the salesperson didnâ€™t realize the theft until a few minutes later. 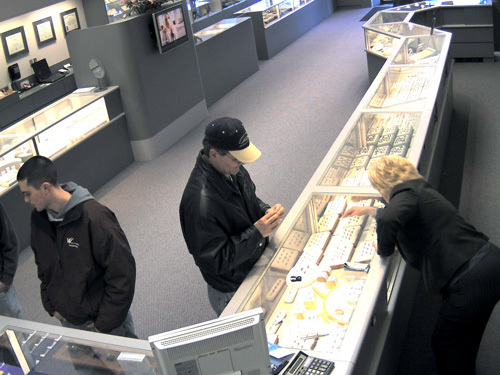 In a lucky twist of fate, a few months prior to the incident, Access Security Corp. of Warminster, Penn., a provider of integrated security systems, had upgraded the jewelry storeâ€™s legacy CCTV system, which consisted of a 10-year-old time-lapse VCR system linked to four analog cameras. The system had been replaced with an Exacq Technologies hybrid NVR and two megapixel cameras from IQinVision. 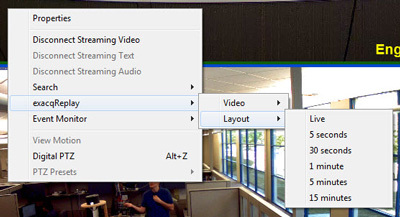 A powerful feature of exacqVision is exacqReplay, which provides instant playback of video from any camera simply by right-clicking in that cameraâ€™s window panel and selecting the desired time segment, up to the last 15 minutes. This is a useful tool to assess alarms, as well as to quickly review something that just happened. The video or individual images can be easily exported for e-mailing, printing or burning to a CD or DVD. It was the IQeye 753 that provided the critical surveillance video that led to Hopkinsâ€™ arrest. The video clearly shows a white man in his 50s with salt-and-pepper hair, wearing a navy baseball cap with a tan trim, a black leather jacket, blue jeans, a polo shirt and wireless glasses, holding the ring and quickly covering it with his fingers. Access Security exported approximately 10 minutes of video and still images to a CD for the police and media. – The complete Security Products story is here. – The original blog post with frame-by-frame images of the theft is here. The original, high-resolution video clip is available to all exacqVision resellers. It makes for an amazing demo of the capabilities of the product. If you do not already have this clip, contact us here.